Creating a lawn from sod is the fastest way to have a beautiful carpet of grass within a few hours. In general, it is best to lay sod in the spring or fall when the temperatures are mild and precipitation is heavier. Sometimes, however, it is necessary to lay sod in the winter. Since grass is usually dormant in winter, extra care must be taken to ensure the sod takes root, and that the roots don't dry out during this slow growth period. Start preparing the ground a couple of weeks before laying the sod, especially if it has not had grass on it before. Clear the area of debris. Remove any large rocks, weeds and trash. Make sure to pull weeds out by their taproots, and remove them from the area so they don't drop seeds. If the area is very large or so weedy that it's not practical to weed by hand, apply an herbicide to get rid of them. Test the soil pH and composition. You can do this with a home test kit or you can send soil samples to your local extension service. A soil test will give you an idea of the amendments you'll need to add before laying the sod, such as organic material such as peat or compost and inorganic amendments such as sand, lime or sulphur. Break up the soil to a depth of about 4 inches with a shovel or mechanical tiller. Do not till wet soil as it can get compacted, which disturbs water and air circulation. Level the ground with a shovel or rake. Make sure the ground slopes towards drainage gutters at a slight grade, and that there are no holes or hills. Allow the ground to settle for a week or two before laying the sod, and fill in any holes that appear during this time. Check the soil to make sure it isn't frozen on the day you lay the sod, and make sure outdoor temperatures aren't near or below freezing. Even if it is very cold, the sod has a good chance of surviving as long as the ground isn't frozen and there are no hard frosts predicted for the next several weeks. Water the ground before laying the sod, and let the water soak in for an hour or two. The soil for the new sod should be damp but not muddy. Lay the sod. Roll it out smoothly, and don't stretch the strips. Make sure the strips are touching, but not overlapping. Also ensure that the bottom of the sod is in close contact with the soil. You can do this by walking on the sod or using a garden roller. Water the sod right after you've laid it, and water it lightly every day for the next couple of weeks if there is less than 1 inch of precipitation. After 2 to 3 weeks, you can reduce watering to once every 10 days. Check that the sod isn't drying out by lifting a corner and inspecting the underside. Be sure to water on unseasonably warm days. Sufficient water helps keep the slow-growing roots of dormant sod from drying out, and it insulates them somewhat against cold temperatures. 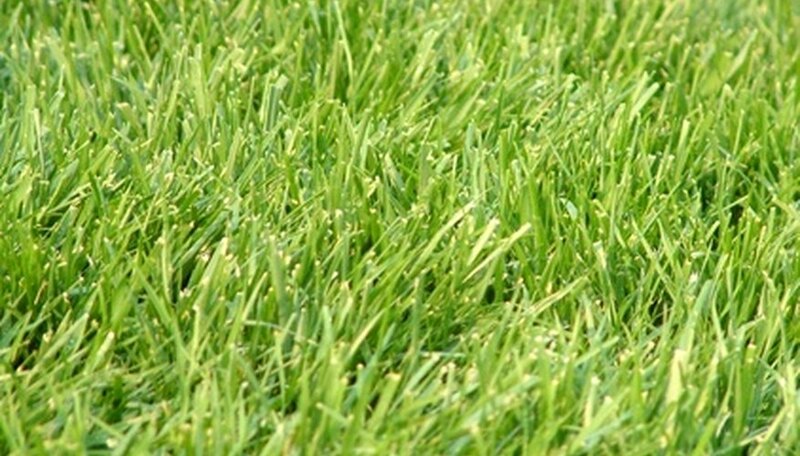 Fertilize the sod in the spring, when it is established and actively growing.